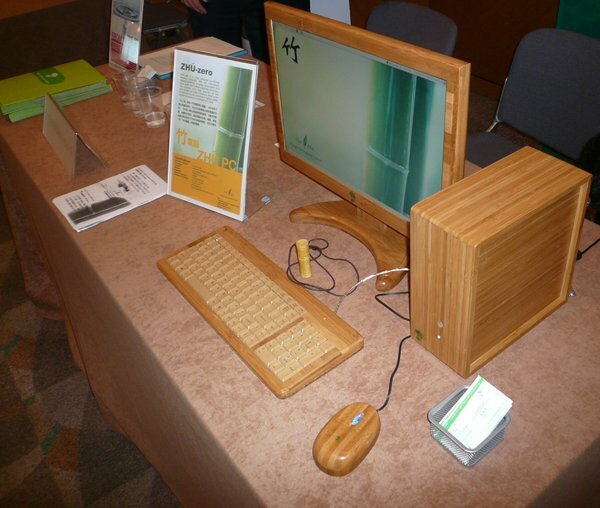 ZHU-Zero is a newly designed eco-friendly desk-top computer. With the meticulously selected hardware, its power consumption is 5 times lower than ordinary desk-top computers. The computer outer case, keyboard set and LCD monitor are made of bamboo, which is one of most eco-friendly resources to replace plastic (a kind of petroleum by-product) and metal.